Congratulations to the lucky winners drawn out of the hat! 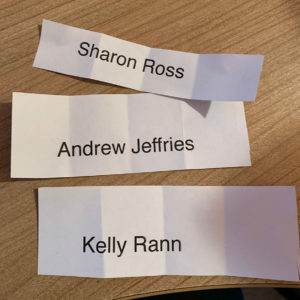 They are are Sharon Ross, Andrew Jeffries and Kelly Rann! This is an exclusive competition from The Boiler Hub and The Grange, Aston Martin. For your chance to win a day at the Aston Martin Factory in Gaydon entries must either like and share The Boiler Hub Facebook competition post or re-tweet The Boiler Hub Competition Tweet. Each entry name whether it be from Facebook or Twitter will be collected and printed out individually. Winners will be drawn randomly from each respective Social Media hat during a live stream on Facebook on Christmas Eve. Winners will be notified via a direct message on the Social Channel they entered on. ‘Winners’ means one person plus a guest over the age of 5 years old. At present, the Factory day out has been arranged in march but is subject to change and we will not be able to confirm actual dates until early 2019.